How can we understand how much computers have changed our lives just within two generations? Travel back to the 1950s and there were computers. Giants in cavernous, cooled rooms usually with repair people lurking about. There was no monitor, but there were flashing lights and the machine was slow enough that you could tell if the program was looping. Programming required punching IBM cards or Teletype tape and then feeding it into the machine. 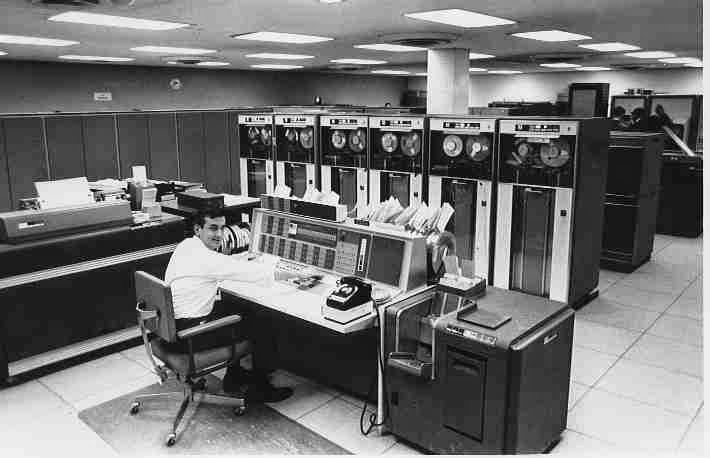 By the late 1960s, there was at least one embryonic LAN connecting a mainframe (IBM7090) and digitized scanning stations in the same room as well as down the hall. It was only later that I learned the importance of this unusual set up (in the Physics Department, UCLA). During the 1970s, progress was made with faster computers, but they still were rare and expensive. What were we doing? Looking on 72mm film for interesting basic particle interactions and doing a 3-view digitization of the reactions. The 1980s showed a huge flourish in smaller computers. 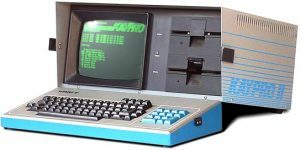 It was in the early 1980s when lines CP/M flourished and there was a computer, Kaypro, for writers. It did have software: WordStar and a very primitive spreadsheet and database. CP/M had severe limitations just from the chip set, so it was quickly surpassed. From the mid-1980s, the computers from Apple showed how they could be used in design. Microsoft also began shipping operating systems that had graphical capabilities with Windows95. With Windows 95, it was possible to log onto the Web. We knew of ARPANET but it was not available to most. Online resources were limited to text only services like Compuserve. By the mid-1990s, this changed. I was working for an ISP and remember vividly the chaos caused by the release of Windows 95; everyone wanted online. We were creating Web sites; hand coding was the norm (don’t ask about the blink feature). Login was erratic and the speeds were slow, but we were on the Web! Designers wondered why some features did not work; there was a real difference in the capabilities of Netscape when compared to Internet Explorer. A site designed and coded for one browser might not work as intended with another one. One of the first challenges was for browser creators and designers to use standardized tags. Next, what fonts to use? Not all were rendered properly. Colors? Only if Web safe. Images? Yes, but watch the pixels.